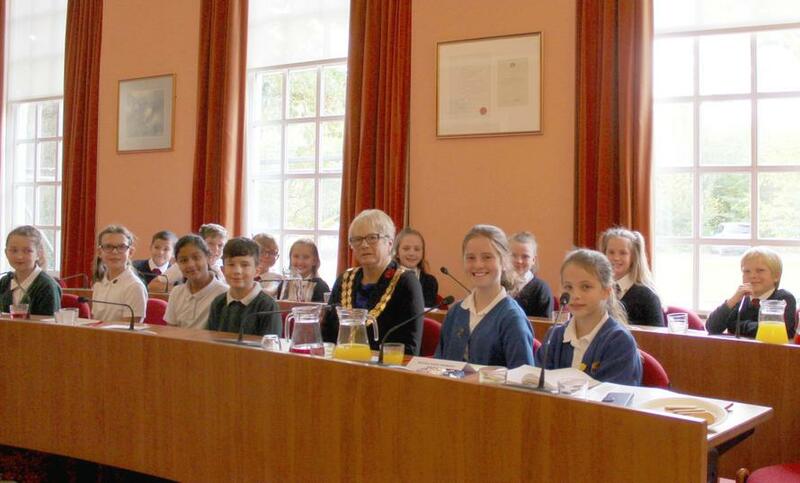 On Friday 12th October St Katherine's Students took part in the inter schools Mayor Debate. The House Captains pitted their debating skills against other schools in the County on topics such as: "The use of plastic in society" and "Parents taking children out of school for term time holidays". Students then had a tour of the Mayors offices and were able to ask questions. They were a credit to the school and as you can see they got right into the thick of the action taking up the entire back row of the Chamber!